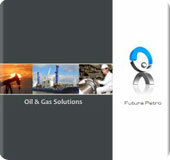 Futura Petro is one of the leading company of FUTURA GROUP OF COMPANIES. It is pioneer in consulting of Oil and Gas and E&P assets management. With wide array of business, we can get the best of manpower at service in any part of world. We have supplied manpower ranging from High Level Management staff to unskilled workers around the globe. We work towards achieving Win-Win Situation for our clients at all times.